Vintage compact in what appears to be brass. It is 3 inches in width The closure works well. There is wear to the back, as well as one small ding. The interior shows some age related issues to the metal, which has resulted in a small area of damage to the mirror. The mirror has no rough edges or cracks. Close up photos of condition. Price reflects the listed condition. I need your zip code to calculate the postage. 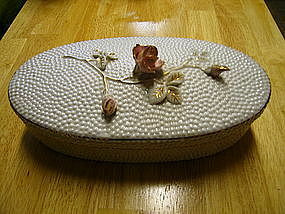 Vintage powder compact. It appears to be constructed with cardboard and exterior foil with white background, impressed gold flowers and black accents. The metal trim is gold toned. The original screen is in place. It measures approximately 3 inches (excludes hinge and closure). The exterior shows very little wear. The mirror shows no actual damage, but I can see a small amount of aging around the glass rim. Additional photos by email. I need your zip code to calculate the postage. 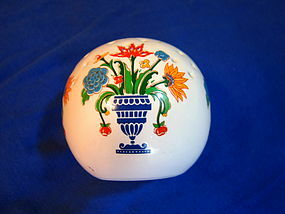 Vintage ceramic pomander ball with flowers in a vase design. 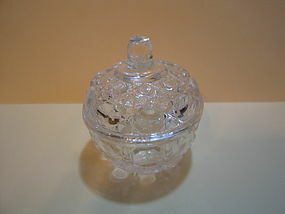 There are 4 sets of the flower arrangement encircling the ball. It is slightly over 3 inches in width. The hanging ribbon and stopper are missing. I need your zip code to calculate the postage. 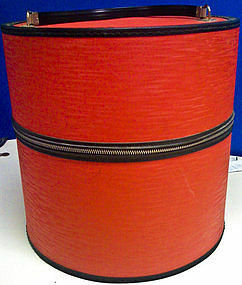 The pattern looks very much like Federal Windsor, however, I can't find a record of a box this size being manufactured. 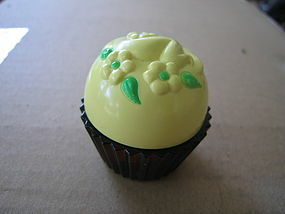 With the lid on, it is 2 7/8 inches in height and the width is 2 1/2 inches. There is no damage, but has a manufacturing rough mold lines. I need your zip code to calculate the postage. 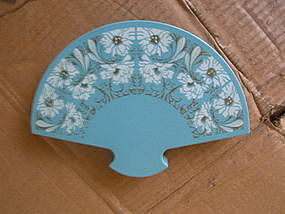 Vanity or powder box in frosted teal blue. 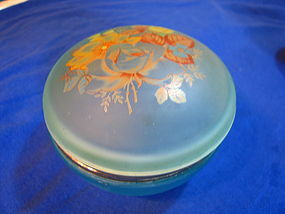 The lid has painted flowers. It measures 3 3/4 x 3 3/4 inches. The metal portion shows aging discoloration and the surface shows "scuffing" in some areas. Complete condition photos by email. I need your zip code to calculate the postage. 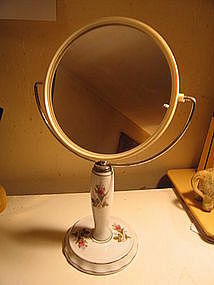 I don't know if this vanity tray is old enough to be considered vintage. It measures 14 x 10 x 2 inches. 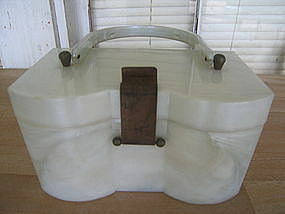 The back has a velveteen finish and attached with screws. I always thought the frame was metal, but after looking hard and tapping, believe is it is a Syroco or composite type material. There is minor wear to the gold finish. I need your zip code to calculate the postage. 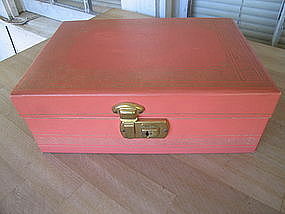 Vintage cardboard jewelry box, It measures 10 x 7 x 4 inches. The music box works well in clear strong notes. The interior and exterior show slight age related soiling. I do not have the key. I have complete close-up condition photos available by email. I need your zip code to calculate the postage. 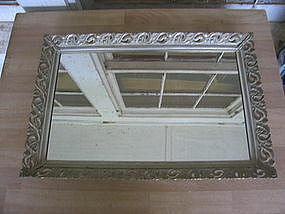 Vintage metal framed mirrored vanity tray. It measures 18 x 12 x 1 1/4 inches. There are some superficial scratches to the mirror and really needs additional cleaning, but didn't want to damage the surface. The velvet back has a lot of wear. Additional photos are available by email. I need your zip code to calculate the postage. 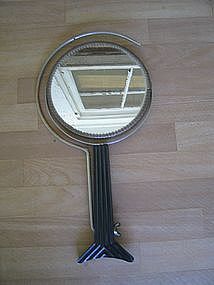 This mirror is not new, but I don't think it is old enough to be considered as vintage. 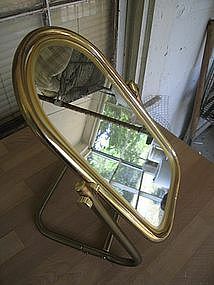 It is either brass plated or brass tone, because the finish is showing age wear. The mirror has no problems. At one point, there was a small knob on the top frame, which had nothing to do with the adjustments, but was more for aesthetics. It measures 14 x 8 x 8 inches. Additional photos by email. I need your zip code to calculate the postage. Vintage porcelain base vanity mirror with Moss Rose style motif. It is approximately 11 1/2 inches in height. 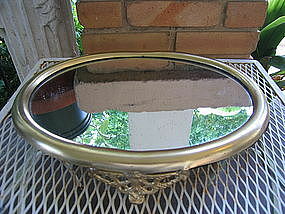 The plastic mirror rim shows slight age related yellowing and the metal portions have slight discoloration to the finish. I need your zip code to calculate the postage. 1.7 oz. spray bottle, which comes from a unopened 3 piece set. This is in a sealed box and not a tester. I need your zip code to calculate the postage. 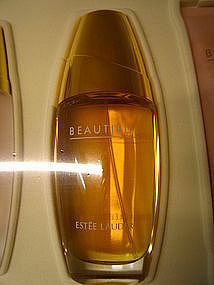 This is the 2.5 Beautiful Eau de Parfum spray and comes in a sealed package that was part of a 3 piece set. 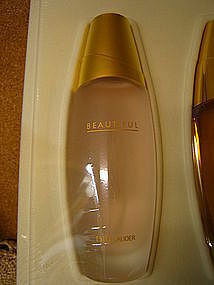 I have not opened the packaging, but am selling the bottles individually. This is not a tester. I hope to have photos soon. I need your zip code to calculate the postage. Vintage dresser box marked as Betson's Handpainted Japan. It is a most generous size of 9 1/2 x 4 3/4 x 3 3/4 inches, which allows many uses and is quite impressive as a display. There are applied pink rosebuds and leaves trimmed in gold. There is chipping to one leaf and a shallow chip to the interior rim of the bottom. I need your zip code to calculate the postage.